Cheaper than most of the top anti-virus Software on the market, Bitdefender Anti-Virus Plus is an excellent choice for home users and businesses. While some dedicated anti-virus programs may be cheaper, Bitdefender Anti-virus Plus offers a range of online protection and preventative technology usually only found in more expensive security suites. Independent anti-virus reviews by PC magazines and industry experts have consistently listed Bitdefender as one of most reliable programs to keep systems safe from viruses, Trojans, malware and online threats, while the ease of use – as well as the option to allow the program to run in the background with no user interaction – means that Bitdefender is an ideal choice for inexperienced users. Independent reviews of Bitdefender have been very positive, particularly when testing threat detection and removal. During a test earlier this year by independent firm AV Comparatives, Bitdefender detected 98.6% of threats, the 5th highest score of all Software tested and far better than many of their competitors, while they also had the 3rd best score for false alarms, giving an Advanced+ three star award. AV Test’s review of Bitdefender Internet Security‘s threat detection, which uses the same engine as Bitdefender Anti-virus Plus, revealed near-perfect scores for threat detection and repair. In the tests where Bitdefender scored less than 100%, the score was still significantly higher than the industry average. The same test also reviewed Bitdefender’s impact on system usability, again with positive results. 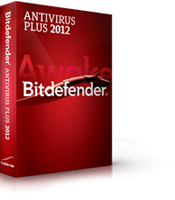 In AV Comparative’s 2011 review of anti-virus Software, Bitdefender was one of the few programs which was awarded an Advanced or Advanced+ award in every category, and was awarded the top score for Malware removal and Dynamic Protection, and was listed in the top 3 for Malware detection. During AV Comparatives’ review of anti-virus products, Bitdefender scored 97.9% in the PC Mark test, analyzing the Software’s impact on system performance, awarding them an Advanced two star award. However, some independent reviews have found scanning times to be longer than other anti-virus Software. During a test by PC Mag, Bitdefender took 42 minutes to complete a scan, while other test scans also took longer than other anti-virus programs. Despite the lengthy scanning time, the same review found the scans to be extremely effective, with Bitdefender receiving a top score for Malware detection and cleanup. Bitdefender offer a range of online preventative features which many other dedicated anti-virus programs don’t, for example their Safepay technology which protects your financial details when shopping online by automatically using a secure browser, while the Software also offers protection against identity theft and phishing attacks. Other online features include social networking and search engine protection against potentially harmful links. Bitdefender’s Rescue Mode offers all of the functionality of a boot disk without having to create one; in the event of an issue Rescue Mode will allow the user to start up into an alternate operating system as they would with a boot disk, but this is all held within Windows so there’s no need to create a boot disk on a CD or USB drive. While Bitdefender generally offers the same options as most other anti-virus programs, the option to schedule scans or run boot time scans is currently not available within the program, despite being a fairly standard feature for most anti-virus Software. However, Bitdefender automatically scans the system during idle periods, meaning that the system is protected with little user interaction. Regular database updates from Bitdefender ensure that the Software is always protected against the latest dangers lurking online, and provide peace of mind for the user that their system is protected. Bitdefender’s installation process is extremely straightforward and the Software can be installed in just a few clicks, automatically taking care of any background tasks such as disabling Windows Defender to prevent any conflicts. The main Bitdefender interface is very easy to follow, displaying a status overview for key system statistics, along with buttons to access common tasks and settings. The interface uses a “traffic light” colour scheme to easily display any issues – if the display is green then there are no issues, but a red light indicates an issue which has arisen. Tests by independent anti-virus experts AV Test into Software usability scored Bitdefender’s Internet Security Software, which uses a similar interface to Anti-virus Plus, in second place out of 19 programs checked. Included in Bitdefender is an autopilot mode, allowing the Software to simply run silently in the background with no user interaction, and take care of any issues which might arise. This mode is ideal for inexperienced users who may be confused by prompts, as well as busy users who just want the anti-virus program to keep their system safe without them having to control it manually. One very handy feature available in Bitdefender is the option to simply drag and drop a file into the Software’s interface, which will initiate a simple scan for that file; as drag and drop is becoming a standard feature for any Windows Software this will help inexperienced users who want to check a single file rather than performing a full system scan. As with many of the more popular anti-virus brands, Bitdefender’s website features an active forum where members can share knowledge within the community, and seek or provide assistance depending on their level of expertise. Unlike many of their competitors’ forums, Bitdefender offers a multi-lingual forum, with separate sections for French, German, Spanish and Romanian, although the English section is far more active. 24 hour telephone support is also available, and is offered in various countries and languages as well as a Worldwide number being available, while a Live Chat function allows users to easily speak to experts to resolve any issues as quickly as possible. A help menu is built into the Software which offers assistance on a range of issues, as well as links to Bitdefender’s support section of their website. Bitdefender Antivirus Plus 2013 was awarded PC Mag’s Editor’s Choice title for its features, overall usability and malware protection in a review by the magazine’s Neil J. Rubenking. After thoroughly testing all its modules, such as Anti-Theft, SafePay and malware detection components, PCMag gave it 4.5 out of 5 stars, emphasizing that it’s one of the best commercial antiviruses to date. Bitdefender’s antivirus technology is also highly appreciated by independent virus-testing labs such as AV Comparatives and AV Test that have awarded it some of the highest ratings yet. With a high malware detection and cleaning rate on PCMag’s samples, Rubenking said that “Bitdefender is definitely the most impressive malware cleaner of products tested with my new sample set”. Coupon Code CLICK TO VIEW OFFER Click to view the latest Bitdefender promotional offers!